This chapter focuses on how the federal and state governments of the United States have been providing funding to educate their youth for more than 200 years. Unfortunately, it was not until the 1950s, when parents of students with exceptionalities sued the schools, that monies from the federal government were made available to educate students with special needs. This chapter also discusses creative funding options because even with the federal funds, states have been relegated to come up with monies to cover their special education population because the federal government has not fully funded its portion of the law. The chapter also examines special education expenditures in relationship to a free and appropriate education and concludes with a discussion about the future trends in funding to educate children with special needs. According to the U.S. Department of Education, National Center for Education Statistics (2014), the Office of Special Education Programs (OSEP) has calculated that the Individuals with Disabilities Education Act (IDEA) serves approximately 6.8 million children and youth with disabilities nationally. With national expenditures in 2012-2013 totaling an estimated $571 billion, $27.3 billion went toward regular education services and $1 billion was appropriated for federally funded special needs programs (i.e., Title I, English language learners, gifted and talented education). In per-pupil terms, it costs $12,639 to educate a student with disabilities on average. Special education services cost $8,080 per pupil, $4,394 per pupil is spent on regular education services, and $165 per pupil goes toward services from other federal special needs programs. 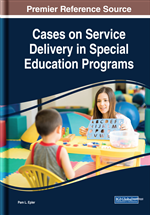 Special education expenditures within a service delivery model can be costly, as school districts offer special classes, consultants, therapy, tests, extra instruction, private school, and transportation for their special needs students. It has been widely publicized that “the special education system is one of the most heavily regulated and underfunded of all federal education mandates” (Pardin, n.d., para. 1). The legal definition of a free and appropriate public education (FAPE) consists of several components. Although all components to the definition are key, as it pertains to cost, the authors of IDEA have made certain that school districts understand that “special education and related services be provided at public expense, under public supervision and direction and without charge” (Hersh & Johansen, 2007, p. 1). Special education does consume more money over time (Winters & Greene, 2007). As the needs of special education students change and the demand for additional services rises, private along with public funding sources are very important to assist in educating students with disabilities. Discuss the federal special education funding sources available. Justify the benefits of engaging in activities that can result in federal, state, and local grant monies. Develop examples of innovative spending, funding sources, and options. Justify the policies and procedures for budget funding in special education. Devise innovative spending options for a budget proposal. Construct a portfolio of contact ideas for funding and spending sources. Evaluate problems associated with modifications necessary to shape fiscal responsibility within special education service delivery models. From the Northwest Ordinance in 1785 to present day, education in the United States was and is considered essential if our country wants to survive and compete with other global nations around the world. Although the founders of our Constitution did not require the federal government to fund our public schools, as this responsibility falls solely on the shoulders of the states, Article 1, Section 8 of the Constitution granted Congress “the power to lay and collect taxes to provide for the general welfare of the United States” (League of Women Voters in the United States [LWVUS], 2011, para. 1). It is under this portion of the law that the federal government has set aside annual funding to give to the states to assist with educating our youth in the United States. Table 1 demonstrates the history of the federal government’s funding of education. Outsourcing: Gaining funds or assistance from outside the educational field. eGrants Management System: A computer-based system used to manage the federal funds granted to school districts for special needs students. Spending Options: The manner in which special education funds can be spent. Formulas: A system that assesses the manner in which federal funds are distributed to school districts for special needs students. Funding Sources: Where funds for special education programs can originate. Adequacy: With good intentions in mind.